Custom domain setup in Blogger.com is used to create your own blog URL. (for example: frommyblog.blogspot.com to myblog.com). When you purchase a domain from Dreamhost.com, they assign an IP address (A record and CNAME record) for the domain. Hence, you need to change those records to point to your Blogger.com blog. This post can help you to change the A and CNAME records of your Dreamhost account. Follow these steps to setup your Blogger domain with your DreamHost account. 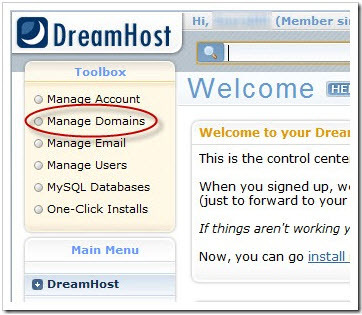 Log in to your account at the Dreamhost Account Login. After logging in, click on Manage Domains as seen below. A list of your domains will be displayed, select the DNS option to edit the DNS configuration as shown below. To change the A Records, Select ‘A’ record from the drop down menu and enter the 4 IP addresses one-by-one in the Value field as shown in the screenshot below. Now from the drop down menu select CNAME to edit the CNAME records. Write ghs.google.com in the value field as shown below. Now go to your Blogger account and add your new domain name of Dreamhost. Note that it will take a few hours for the new changes to take effect. This post has been a great help – I am, however, having one issue. When I try and update my CNAME record in Dreamhost it is saying “CNAME records may only be used on sub-domains.” Am I missing something? I do not want to use a sub-domain. Thank you in advance. You need to add www in CNAME record (refer image of #6 above). I realize you this post is almost 2 years old, but I’m also having the same problem of a “CNAME records may only be used on sub-domains” message after entering ghs.google.com in the CNAME record. I read your reply to the person with the same problem, but couldn’t understand where to put “www”. Looking at the image didn’t clear things up for me either. I appreciate your tutorial. I am stuck on step #7. Where in my blogger account do I add my new domain name of dreamhost? 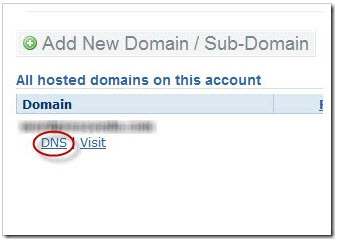 Yes, if you done with A and CNAME records then you can add new domain in your Blogger account. For more info check this article.